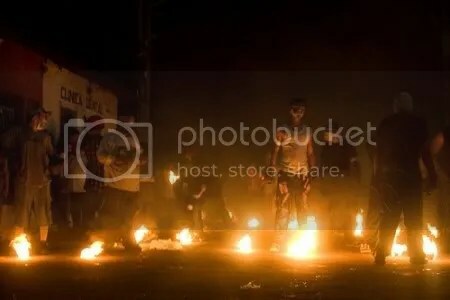 Posted by admin in daily volcano quote, El Salvador, San Salvador. The inhabited regions about the base of the volcano suffered partial destruction [in the earthquake that heralded the beginning of the eruption], the capital, San Salvador, being particularly unfortunate. Ninety per cent. of the homes were destroyed or rendered unfit for habitation … The outflow of the volcanic eruption, while abundant, caused comparatively little damage, since it was largely confined to uninhabited regions. Eight vents opened on the west side of the mountain, sweeping the slope with a stream of lava. A number of coffee plantations on the flanks of the stream were destroyed and, for a distance of two kilometres near Acajutla, the railroad was covered with lava to a depth of 30 feet. For the most part, the region affected is identical with that covered by the last great eruption occurring in 1674. It is said that in some places the old flow has been lifted bodily upon the new. The San Salvador earthquake’, The Scientific Monthly, vol. 5, no. 2 (August 1917), pp. 191-2. Posted by admin in El Salvador, natural hazards, San Salvador, volcano monitoring, volcanology. Dominating the landscape to the west of El Salvador’s capital of San Salvador is the massive volcano that shares the city’s name. San Salvador volcano last erupted in 1917, the beginning of the eruption being marked by an earthquake estimated to have been magnitude 5.6 which left up to 90% of the capital’s housing stock damaged or destroyed according to contemporary reports (see today’s Daily Volcano Quote). The 1917 eruption, the seat of which was El Boquerón, the main summit of San Salvador, lasted from June to November and produced extensive lava flows and ashfall, damaging crops and causing some fatalities in the surrounding region. 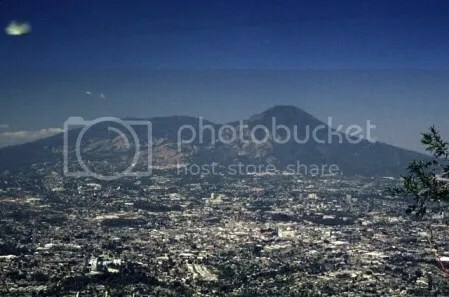 Today the city of San Salvador has a population estimated at 2.2 million and its suburbs encroach upon the lower slopes of San Salvador volcano. A fresh eruption of San Salvador on almost any scale would have serious consequences for the city of San Salvador. Even without any eruptive activity, the volcano’s unstable slopes pose a significant landslide hazard for the surrounding areas. The authorities in El Salvador are very conscious of the hazard San Salvador poses. Yesterday the Salvadorean newspaper El Diario Co Latino reported that the Salvadorean environment ministry, the Ministerio de Medio Ambiente y Recursos Naturales (MARN) has been working with geologists and non-governmental organizations from across the world to assess the potential threat of San Salvador and plan hazard mitigation and response strategies. Taking into account San Salvador’s 3000-year history of frequent activity, ‘The likelihood that a phenomenon such as that of 1917 will occur within the next 100 years is high, but it is not possible to give an exact time range’, says volcanologist Dolores Ferrés, author of the study Estratigrafía, geología y evolución del volcán de San Salvador: Aplicación en la evaluación de peligros volcánicos y su posible impacto, which was presented to the media at a congress held by MARN on 21 September. Ferrés’s study is described in a news release from El Salvador’s Servicio Nacional de Estudios Territoriales (SNET) as ‘a breakthrough in the generation of knowledge about volcanic risk in the country and providing vital information to decision-makers in various sectors’. The intention is to carry out a comprehensive hazard assessment programme for San Salvador volcano and the surrounding area. ‘Although the volcano currently shows only very week activity (fumaroles in Cerro La Hoya and very sporadic volcanic-tectonic seismicity) it is considered one of the most dangerous volcanoes in Central America because of its proximity to large urban areas and its eruptive history’, is the SNET’s current verdict on San Salvador volcano.